Dolly and me matching dress. Made from a 95/5 cotton Lycra blend, this dress features a beautiful floral print on an off-white background. 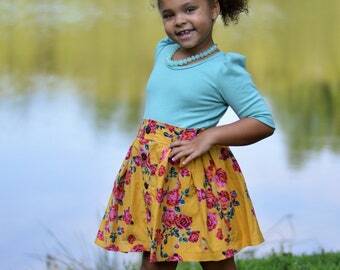 Your little one will love this comfortable dress, and it’s perfect for twirling! 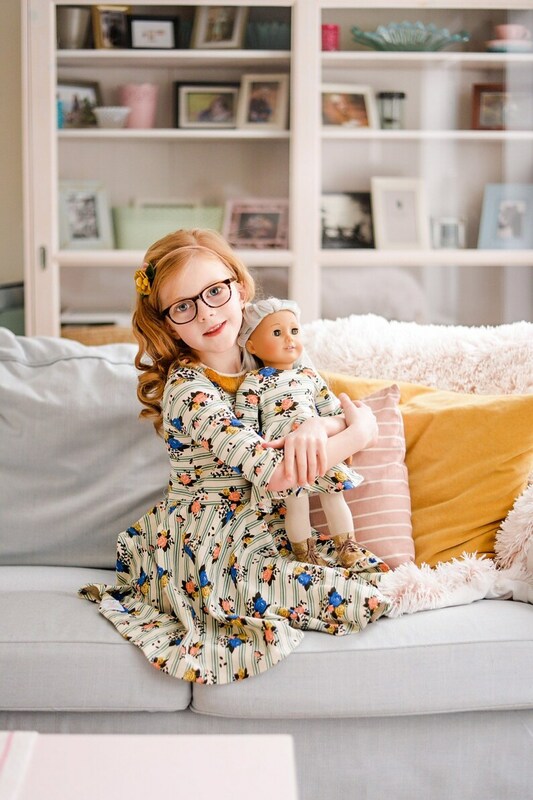 A matching 18” doll dress is also available as a set. Your little girl will love having matching doll clothes with this dolly and me set! 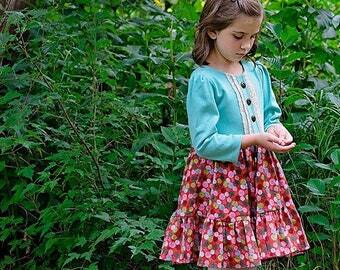 Please note: because of fabric width, sizes 10-12 will be a gathered skirt rather than a circle skirt. Choose from a matching girls and doll dress set, doll dress only, or girls dress only. Choose from sleeveless, short, 3/4, or long sleeves.